Frederick was born in Cleatham, Lincolnshire on 23rd February 1890. 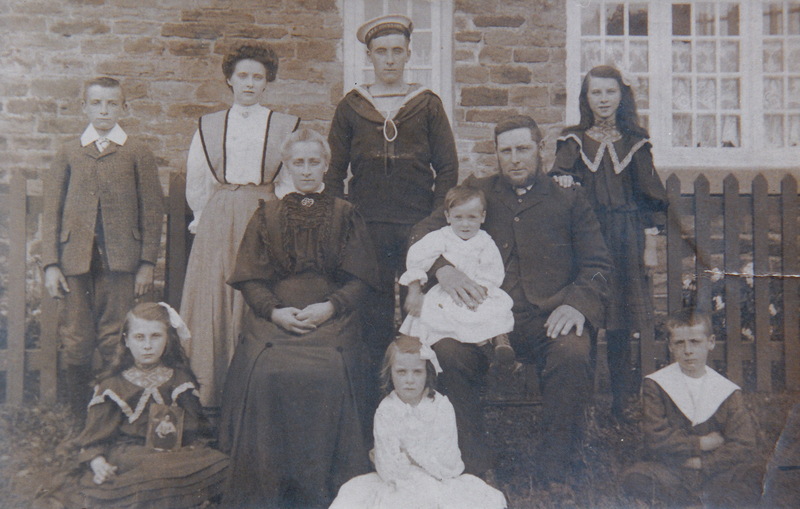 His father, George, became a farm bailiff and moved his family to Kirton in Lindsey, then Maidwell in Northamptonshire, finally settling in Holwell around the time of the Great War. His mother, Mary, had 3 more sons and 5 daughters. 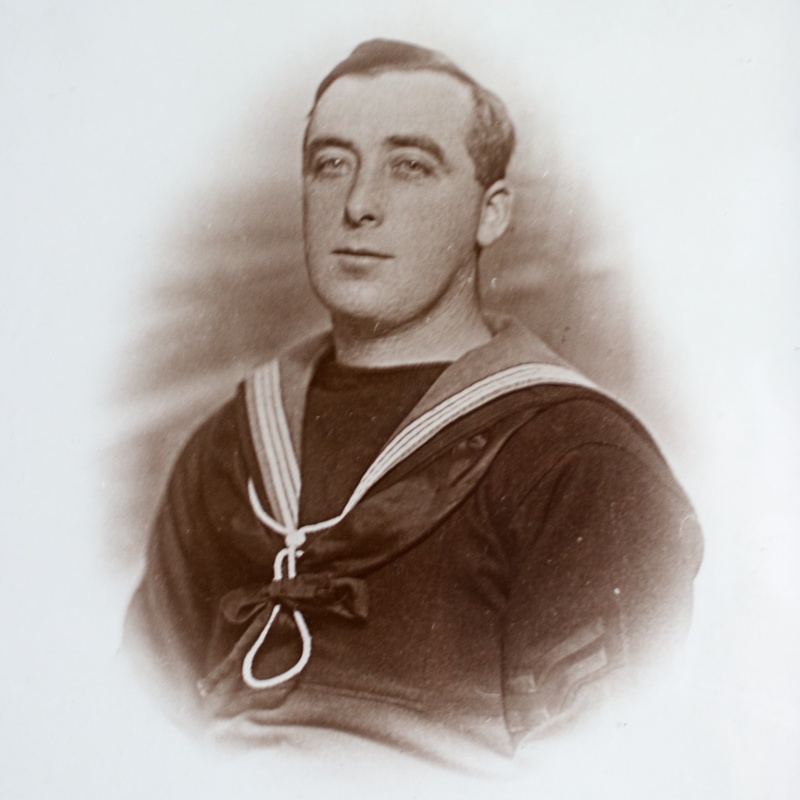 Frederick joined the Royal Navy in 1908 and served in a range of ships and shore-based stations. He saw action in the War aboard HMS Kent, a Monmouth Class Cruiser. He fought in the Battle of the Falkland Islands in 1914 and at Jutland in 1916. His Navy records him as a 5’4” tall, with light brown hair, blue eyes, a fresh complexion and a chest measurement of 35”. 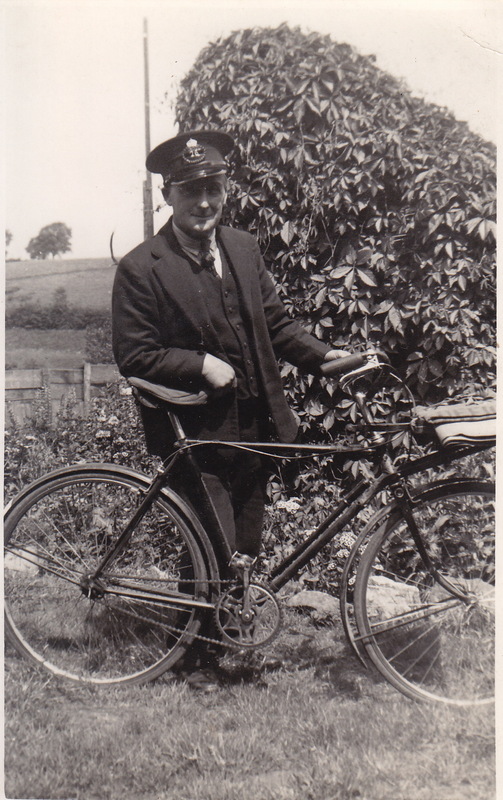 Frederick was discharged from the Navy in 1919 and settled in Holwell, where he became the postman. He lived on Main Street, with his wife Lily James who he married in about 1911, in what is now still the village Post Office. He died in 1972. Two of his grandsons still live in Holwell. Simon Dixon lives at Glebe Farm on Holwell Lane and Richard Dixon lives in the Post Office on Main Street. So proud to see my precious grandad here! I was his first granddaughter and born on the same date February 23rd. I lived in Holwell Village from birth in 1949 to 1963, very happy days. I still live in Leicestershire and come over to Holwell for some solitude. Lovely to hear from you, Sonia. If perhaps you have any pictures from Holwell in the ’50s and ’60s, please let me know as I’m putting together some more pages of village history for this website. I do actually, bear with me, I retired earlier this year and am in the process of collating and cataloging the pictures. I also have pictures dating from the 20’s of The Dixon family, would these be of interest? Yes, please, Sonia, particularly if the pictures include recognisable shots of Holwell. Can I send these via your e mail? Hi, I remember your family. I lived in the prefabs near where you lived till I was about 13/14. My name was Sandra Braithwaite. I used to go to the post office and remember your Grandad as the postman. I have lived in Blackburn since 1969. I remember you Sandra. What comes to mind straight away is the lilac bush outside your prefab,we spent happy times catching butterflies with our nets.So many varieties. Our family left Holwell in 1963 and moved to Melton Mowbray. I now live in Leicester. Good to hear from you Sandra and great to recall our very happy childhoods in Holwell village.